Real Madrid stay third in the standings on 60 points while Barcelona have 74 although they have played five game more. While Barcelona had seen their nearest challengers Ateltico Madrid restored the gap to nine points. 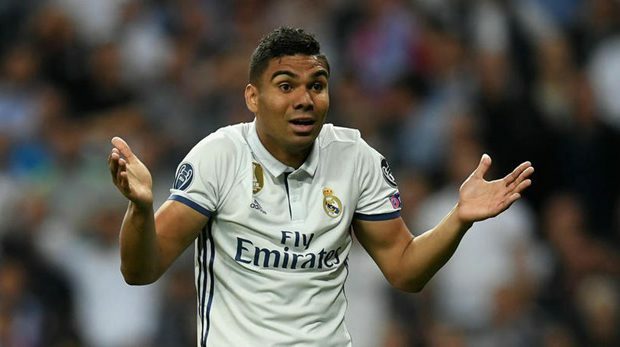 Speaking to media before lost a 2-1 to Valencia at Mestalla Stadium, Real’s midfielder Casemiro thinks that his club must work hard to give the best until the end of the 2018/19 season. “We’ve still got seven games to go and we have to do a good job because this club always demands the best and we’re obliged to give it our all.” Casemiro said. “We know LaLiga is very though but we’ve got seven games to play well and restore some pride to this shirt. If Barcelona win it we’ll congratulate them but we’re focused on giving it all we’ve got. “It’s huge motivation and was a dream for me to leave home and come to Real Madrid. Training here every day is a dream come true and winning all the trophies.” Casemiro added. Real have been played very badly since under former head coach Julen Lopetegui. They have also been eliminated in the Champions League tournament this year. Since 2014, Los Blancos has won the Champions League four times and each time it has followed up with the FIFA Club World Cup. 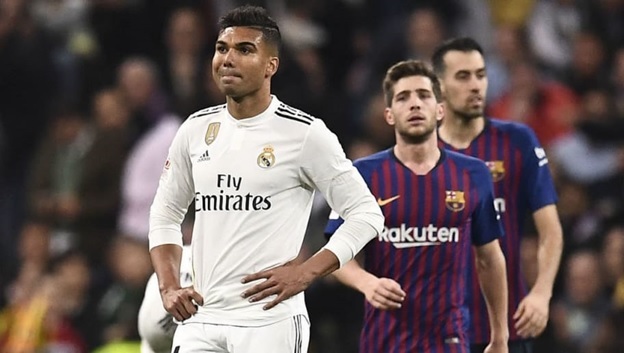 “There will always be criticism as long as you’re playing for Real Madrid, but I’d call for respect because in the last five years this squad has won 4 Champions Leagues.” Casemiro said. “I’m sure we’ll be back. I always tell the fans that Real Madrid always come back stronger and right now we’re just regaining our strength to return better than ever.” Casemiro added. When asked about Real’s squad, Caemiro said: “Real Madrid always have to have the best players in the world. I don’t make the signings, it’s down to the president and his work group. “I can’t discuss players who aren’t part of our squad. Any good player would be welcome here but we’ve got a great squat already and we think as a group.” he added.